If you have older kids (like I do), it can be tough to keep your younger ones involved in your homeschooling lessons. Our preschooler always wants to be at the table with her older siblings during class, no matter what we’re learning about. I could be teaching organic chemistry and she’d want to be involved. So I use a lot of preschool printables to keep her learning along with the older kids. 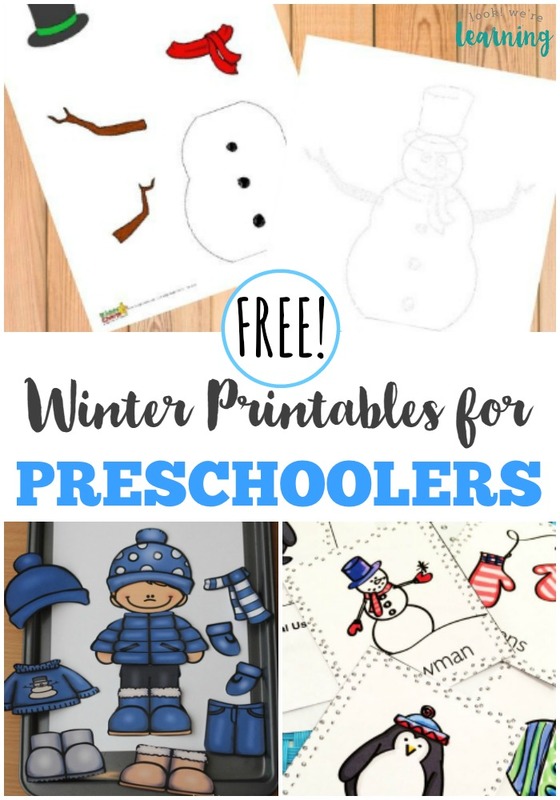 If you enjoy using winter printables with your children, these free winter printables for preschoolers are a fun way to let your younger kids get involved! And if you love these, don’t miss our printable winter sight word flashcards – perfect for working on early reading skills! 1. Free Snowflake Counting Flashcards – Look! We’re Learning! 13. Arctic Animal Flash Cards – Look! We’re Learning!